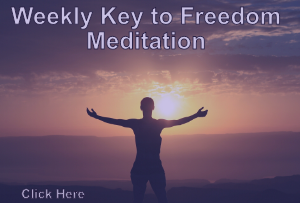 I have to bring in that in my experience meditation is not the one thing we can do, that we háve to do. Only meditating that The Event will happen is by far not enough. Especially now each of us is invited to take The Next Leap, the leap way beyond ‘only meditation’. Especially now we have to leave the grid of illusion and the period of Becoming Whole by letting ourselves fall into the next space: the space of our infinite Divine Selves. 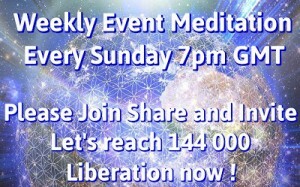 In this Ascension period we are not here to only safely meditate – in groups – within chambers. We do are here TO GO INTO THE EXPERIENCE OF OUR DIVINE SELVES and to truly Live this Love and Light we are. To go out into the world on our own two feet, let our Light shine brightly and powerfully and create from within our Divine Tasks. When each of us free-willingly takes this responsibility upon ourselves, we start experiencing that we – Love and Light – ARE the strongest of the strongest. It is from this needed Divine – Fire – Power that we do can and will create The Event and our New World together. That we can make it truly happen and experience that WE ARE ONE. Will do, if I can wake up at 1:00am Monday in Bagladesh.